Hounslow Council has commissioned CAN and Red Ochre to explore the concept of creating a new multi-agency Resource Centre – a building where third sector organisations can locate, meet and share offices and resources. What is a Resource Centre? If you are an organisation working, or delivering services, in the London Borough of Hounslow, we would like your responses to directly inform the feasibility study of the development of a Resource Centre in the borough of Hounslow and the Council’s decisions on the sort of premises required to meet the needs of third sector organisations. Tell us about your premises requirements and register your interest in being involved with the Hounslow Community Resource Centre project. For more information contact Kirstin Ross on tel: 020 7250 8039. 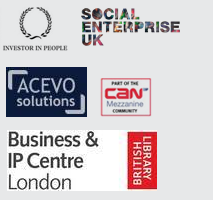 Join us at our next FREE interactive workshop for VCSE organisations with, or those looking to take on, premises from which to operate and deliver services in Hounslow. ‘Location, Location, Location’ – 11th January 2013, 10-1pm (incl. a great lunch) at Watermans Centre, Brentford. CAN will be presenting about the Hounslow Community Resource Centre Project at the next Hounslow Community Network meeting, Monday 28th January 2013, 10:00-12:00 at St. Paul’s Parish Centre, Brentford. The agenda includes discussions on LBH and external funding, establishing a Hounslow Equalities Forum, and the election of a 2nd Vice-Chair. Lunch will be provided. Published: December 15, 2012. Categories: News.